Brave Like A Girl. Why? My relationship with my body has always been complicated, to say the least. I’ve always struggled with trying to achieve body ideals. I’ve been through countless diets, exercise, gym memberships, you name it. I used to believe that my value and my worth depended on how I look. And I needed to look like all the stars from my Pop Star and Teen Vogue magazines. Guest post by Isabel F. William. 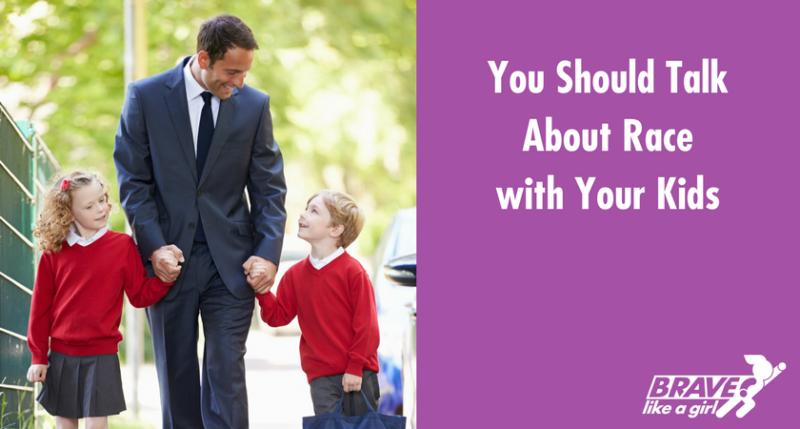 If you’re a parent, then you’ve probably been told at least once that you’re overprotecting your child or that you should let them try things on their own so they can gain confidence. 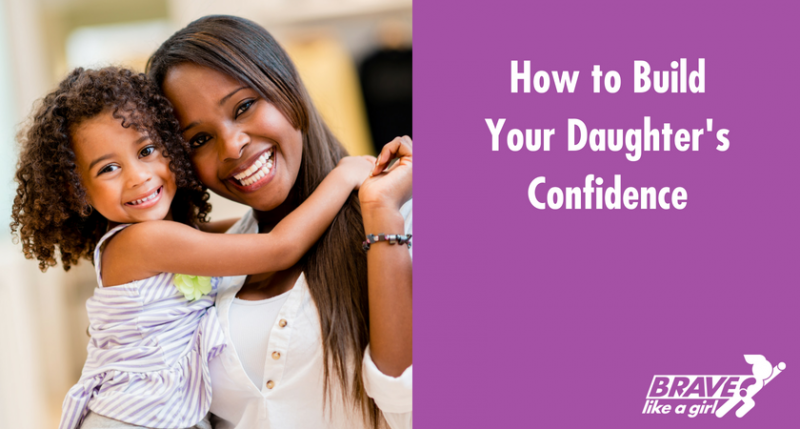 But you can’t build your daughter’s confidence without enough support and encouragement. So, how do you give your child the right amount of support and independence without hovering around and worrying about them every second? 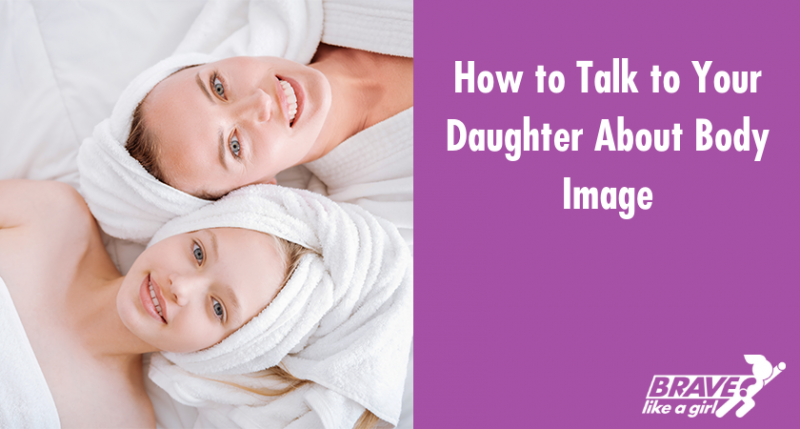 If you’d like to learn how, here are a couple of suggestions that should help you raise your girl to be a confident and mature adult. The day my daughter was born was the happiest of my life. 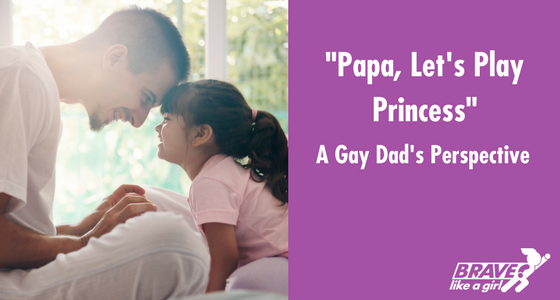 As a gay man, I questioned if I would ever become a parent. But here I was, holding this tiny human that would one day call me Papa. And she was a girl! I hoped for a girl. I felt that I knew girls. Most of my friends were girls. My professional circle was mostly female. I never felt particularly masculine myself. 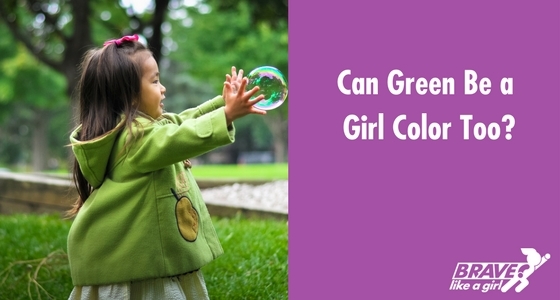 The following was written by Kaci Palomino, a Brave Like a Girl follower, and babysitter to the two Brave Girls. 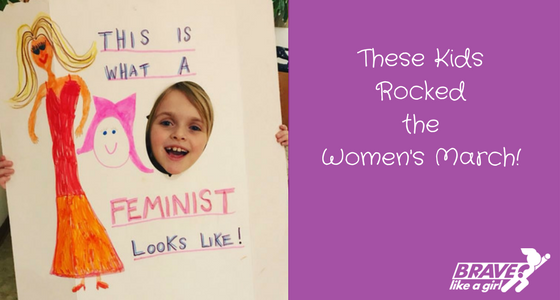 Thank you, Kaci, for sharing with us a great way to start the discussion about gender equality! Women’s marches broke all kinds of records everywhere again. Those videos showing huge crowds in all major cities fill me with hope. Last year, the movement surprised many. We knew it would be a big and strong response to the political climate. But no one expected crowds of such proportions. And those of us who stayed home… well, we regretted having missed out on such a historic moment. Princess or Superhero? Dress or cape? Beauty or strength? The Princess in Black says you can do both. To the world, Princess Magnolia is just like any other princess – frilly dresses, glass slippers, and all. 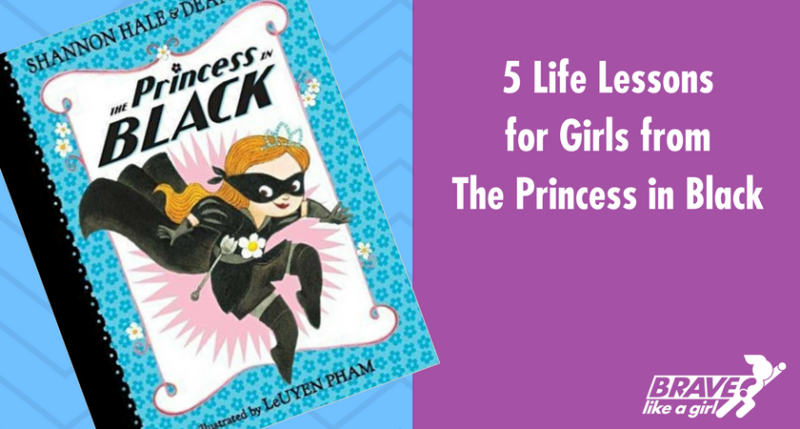 She enjoys prim-and-proper with her princess friends – until her monster-alarm ring goes off. “What is that sound?” they ask. She dodges the question, makes her way to the broom closet, and changes into superhero attire. Through a secret tunnel, she exits unnoticed. Landing on her horse’s back, she is on a mission. She is… The Princess in Black. Last week, a Snapchat video was made public, where White students from a middle school in Virginia held down African-American students in sexually explicit positions while making racist remarks. Naturally, parents were appalled. Social media responses of “This is not who we are” and “I can’t believe this is happening in 2017” abounded. But the truth is that as a nation, this is who we are. This stuff happens in 2017, and it will continue to happen until we take responsibility. 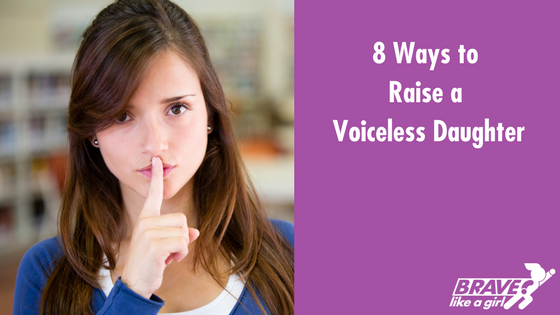 When girls and women speak, you better listen! 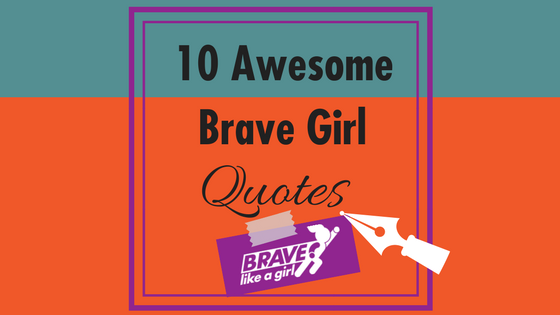 Check out these truths spoken by amazing women. Write them down, or share them with a friend. 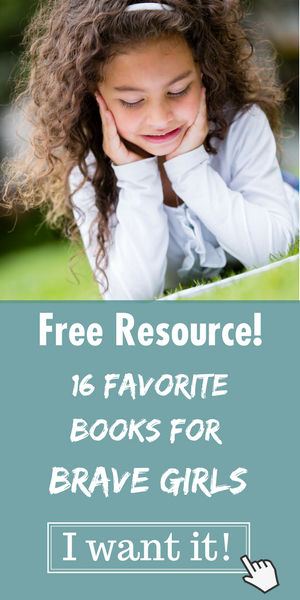 Read them to your daughter, discuss them at the dinner table! Be inspired to live bravely! I hope it worked… for creating awareness, at least. As a male, I can say that men have no idea how common harassment is, whether it’s blatant or subtle. Since sexual harassment doesn’t affect us in the same way, we aren’t paying attention. This needs to change. Voiceless: adj. Lacking the power or right to express an opinion or exert control over affairs. Parents are doing the best they can, and I swear I’m not judging. Raising kids is ridiculously hard – I know! And I know you have good intentions. Lastly, remember each of these points isn’t terrible on their own, and we all do them sometimes – that’s fine. It’s when we practice them consistently that we rob our daughters of their voice.